As part of Aberystwyth University’s Open Day provision, I demonstrated the technique of circuit bending. Using battery operated audio devices, such as a radio, tape recorder, and CD-player, I generated a range of electrical noises not normally associated with the devices. The outputs were then passed through a series of sophisticated synthesizer filters and modifiers to create a soundscape fusion of lo-fi and hi-fi sound. Any electronic apparatus capable of making a noise can be ‘rewired’ to produce a range of unintended sound-forms. Squelches, screeches, and hums can be produced by connecting circuits that ordinarily are isolated, thereby short-circuiting the path along which the electrical current normally passes. As such, the technique exploits the concept of positive malfunction. 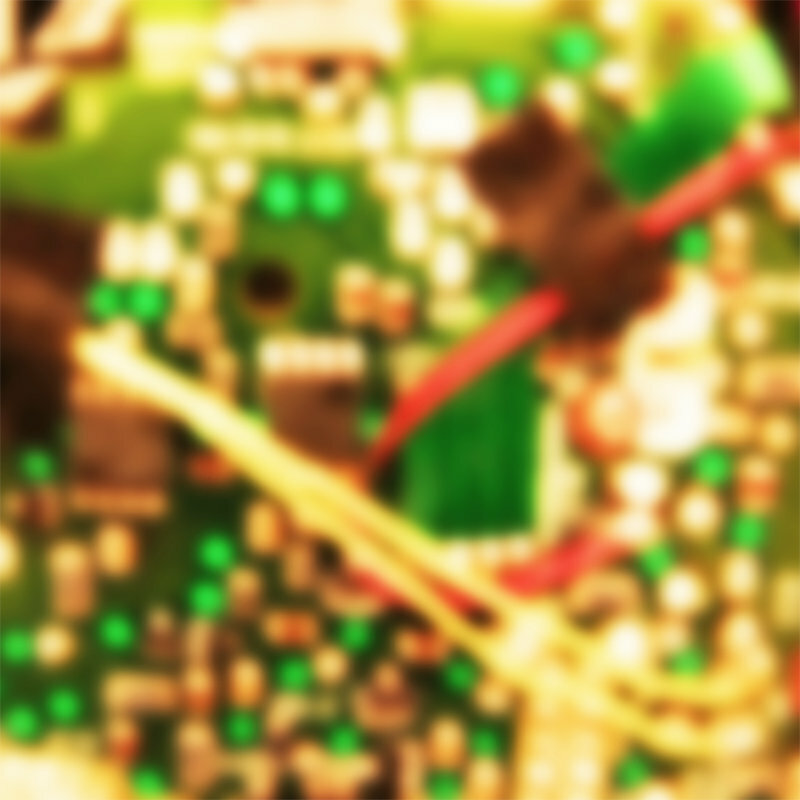 It’s not without hazard: frequently components on the circuit board burn out, rendering the adapted device useless. These sounds can be unpredictable, unrepeatable, and unstable; circuit bending is a chance procedure. The technique is simple: components, nodes, and pathways on a circuit board are joined using with an electrical conductor such as a wire, test lead, or even the experimenter’s body – some ‘benders’ use their fingers to manipulate the circuit board. Insomuch as the body represents a conduit for, and a source of resistance that impedes, the flow of electrons it, too, becomes apart of the circuit and the means of sound production. Thus, the performer and instrument are one and the same: an electro-biological noise machine. This sonic technique has parallels in the visual arts. For example, in the tradition of the altered image, artists intervene in a pre-existing photograph, variously adding parts derived from other photographs or visual sources, excising or painting over sections of the original, or re-photographing the source and translating it into a different scale, ratio, medium, or colour etc. In both circuit bending and the altered image, a found object is engaged with a view to unlocking and extending its capacity by subverting its function. Context: Recorded in the Single Gallery, School of Art, Aberystwyth University on 18 October 2014.